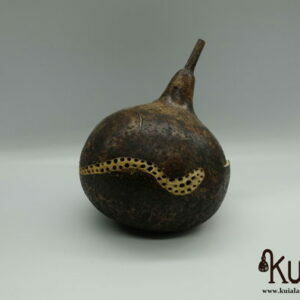 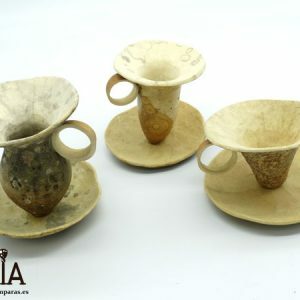 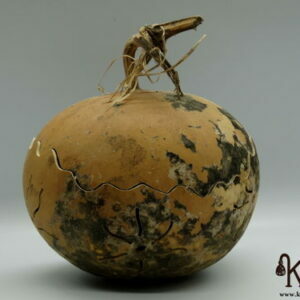 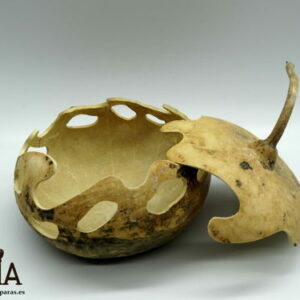 Natural gourd bowl, a beautiful natural and ecological decorative object made with gourd that we grow ourselves. 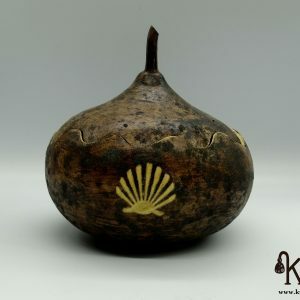 It has been carved by hand, creating curves in the mouth of the pumpkin, and some light carvings around the contour of it. 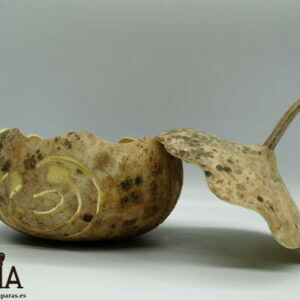 This beautiful bowl is ideal to put plants inside, gives something original and natural that you can not find in more places. 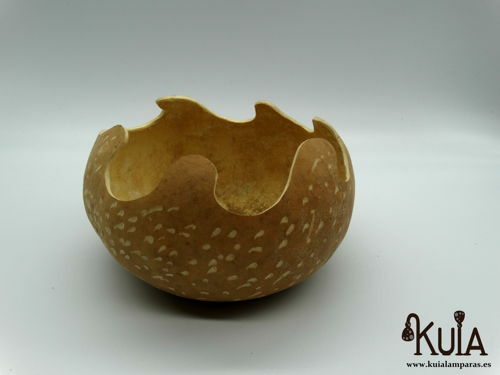 An original bowl, made with a natural material such as gourd, and made by hand. 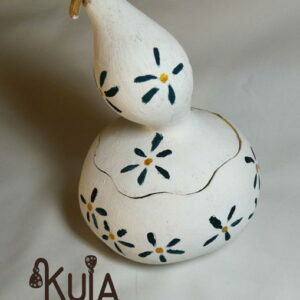 Ideal to give to people with an eco philosophy. 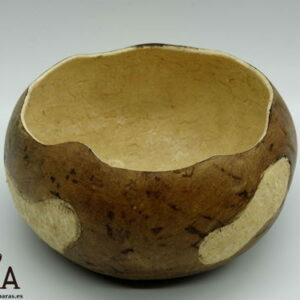 The bowl, has the color of the gourd, has not been treated with any chemical agent, by itself, acquires a texture very similar to that of wood and is practically unbreakable.